Home > Food Facts > Tea > Rooibos Tea Side Effects & How Much Should You Drink? Drinking tea in pure form is considered beneficial to health. Rooibos tea is caffeine-free, rich in antioxidants, and touted to provide numerous health benefits. However, most of these health claims lack scientific evidence and some side effects have been reported, although more research is required to prove those as well. Let’s take a closer look at the various side effects of rooibos tea. The rooibos plant is native to South Africa. Rooibos tea or red bush tea is gaining popularity around the world as a healthy alternative to black or green tea and as a prescribed treatment for heartburn and a few other digestive system disorders. As mentioned, rooibos tea is said to be free of caffeine. It has a distinct flavor, and its antioxidants help protect against cancer, heart disease, and stroke. Before we start drawing our own opinions about this supposedly wonderful drink, we need to look at certain factors that may make it unsuitable to consume. This is either due to its inherent properties or due to certain physical and health-related conditions. Let’s see how beneficial this tea really is and how much of it can you drink safely. Rooibos tea comes from the leaves of a shrub called Aspalathus linearis, mainly found on the western coast of South Africa. Unrelated to its green and black varieties in any way, the process to make traditional rooibos tea involves fermentation, which gives it the characteristic red-brown color. A green version of the unfermented tea is also available that has a more grass-like flavor. Contrary to the belief that this is a herbal tea that is caffeine- and tannin-free and extremely healthy, there are some side effects of rooibos tea. There is not enough evidence to suggest that consuming rooibos tea during pregnancy or lactation is harmful. So, it is best to avoid drinking this tea or consult your doctor before doing so. Some research indicates that this tea could be beneficial for pregnant women because of its antioxidative properties, but more research is required. Other research also found an increase in sperm motility after some diabetic rats were treated with rooibos extract. A study was published in the ACG Case Reports Journal on a 52-year-old male who showed signs of acute hepatitis and liver failure. 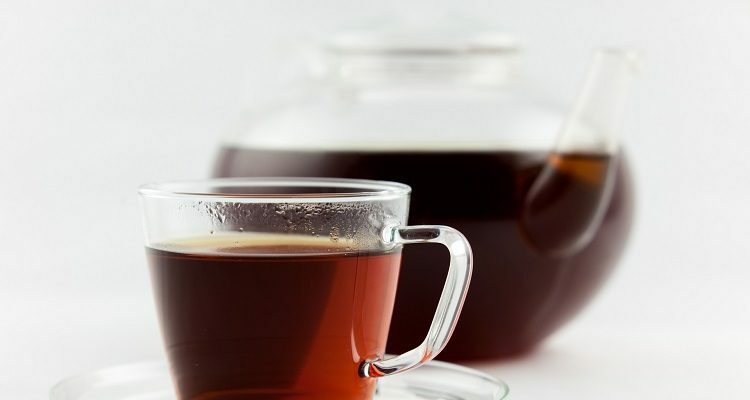 The case showed that the patient had a toxin-related injury to the liver after consuming rooibos tea for about a month. He was found to be jaundiced but without a fever. After performing several medical tests and confirming his condition, it was concluded that the jaundice and hepatitis were due to injury caused by the consumption of herbal tea—rooibos tea. The tea intake was immediately stopped and after a couple of weeks, the patient was found to have a normal liver function. After two weeks of treatment, he was discharged and showed continuous improvement in liver function over the next few weeks. How Much Rooibos Tea Can You Consume? The tea, being devoid of caffeine and tannin does have a number of benefits; however, the side effects tend to be more damaging and immediate than the overall benefits. Be careful when going for this drink. It is advisable that green tea and regular tea be consumed in limited quantities than experimenting with this herbal tea, which may cause medical emergencies if consumed by those allergic to its ingredients. An optimal dosage of this tea should be limited to a cup brewed from about 750mg of rooibos leaves, consumed once or twice along with meals. Consuming it more than the said quantity can lead to side effects mentioned earlier. In conclusion, having rooibos tea in any quantity should be avoided by pregnant women or those with heart disease history and medical conditions related to liver disorders. It is more like a trial and error to know if you face any special symptoms. As in the study, the patient was consuming it for almost four weeks before he had to visit the medical room. In case he had noticed any of the symptoms and stopped consumption, maybe the ER visit could have been avoided and a meeting with the medical practitioner would have helped instead. Fonseca, A., “Red Bush Tea Side Effects,” LIVESTRONG, July 2, 2015; http://www.livestrong.com/article/149220-red-bush-tea-side-effects/, last accessed August 28, 2017. Engels, M., et al., “Tea Not Tincture: Hepatotoxicity Associated with Rooibos Herbal Tea,” ACG Case Reports Journal, October 2013; 1(1): 58–60. DOI: 10.14309/crj.2013.20, last accessed August 28, 2017. “Red Bush Tea,” WebMD; http://www.webmd.com/vitamins-supplements/ingredientmono-143-red%20bush%20tea.aspx?activeingredientid=143&activeingredientname=red%20bush%20tea, last accessed August 28, 2017. Ayeleso, A.O., et al., “Effects of Red Palm Oil and Rooibos on Sperm Motility Parameters in Streptozotocin-Induced Diabetic Rats,” African Journal of Traditional, Complementary and Alternative Medicines, 2014; 11(5): 8-15. https://www.ncbi.nlm.nih.gov/pmc/articles/PMC4202511/, last accessed August 28, 2017. ACG Case Rep J. 2013 Oct; 1(1): 58–60. “Tea Not Tincture: Hepatotoxicity Associated with Rooibos Herbal Tea” Published online October 8, 2013; https://www.ncbi.nlm.nih.gov/pmc/articles/PMC4435260/, last accessed August 28, 2017.